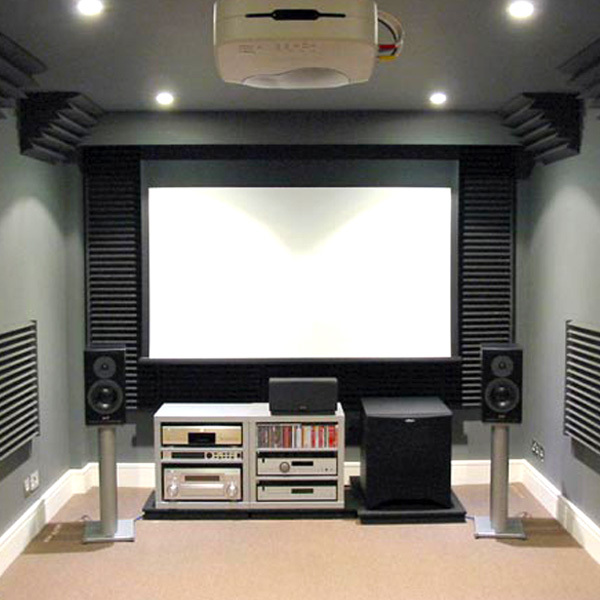 Pyramids offer ideal acoustic foam panels solutions for applications including studios, recording, music rooms, vocal booths, radio stations, TV studios, broadcast studios and more. These acoustic foam panels offer a continuous visual presentation across the expanse of a wall as we showcase in this image. These Pyramids are cut from our line of class A fire rated melamine foam, making them approved for use in any commercial, residential or industrial application. 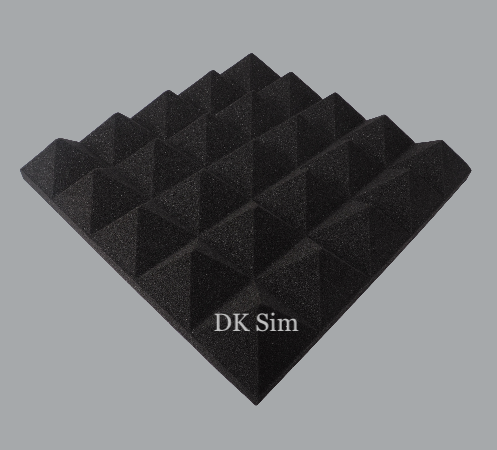 Acoustic Pyramid Foams offer ideal acoustic solutions for applications including studios, recording, music rooms, vocal booths, radio stations, broadcast studios and more.